well, its been a great spring/summer for us here in Sydney.. business has been great.. But, I'm flogging myself walking behind the mower.. and I'm exhausted.. there has to be an easier way..
so Ive been thinking about a new mower upgrade ..
Mt question is,,,, Is there a ride on / stand on unit that is narrow enough to get through the usual side gate access ? 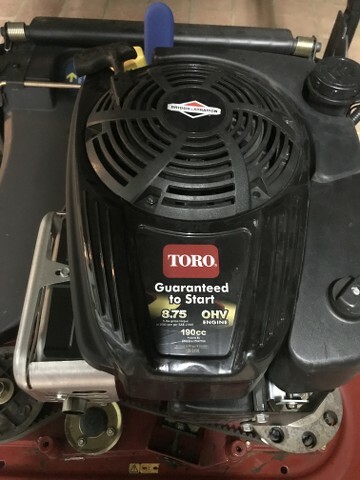 been seeing bad reviews on the Toro standers ...do Toro actually make anything good ? Yeah I'd like to get a small stander but can't justify $10k+ on one especially when I don't have any very large lawns. For $1500 I do highly recommend the timemaster though. I use it about 50% of the time and on those larger lawns it comes into it's own and does save 30-40% mowing time over the Honda HRX. 1. It does not mulch wet grass at all, even slightly damp it will easily clog the deck. 2. It struggles to mulch in thick/long grass more so than the Honda, although the side discharge works brilliant and cuts anything down, just obviously leaves a mess. 3. The two idler pulleys that come stock are absolute junk, both mine failed after 15 hours or so. You HAVE to upgrade to the improved pulleys (used on the turfmaster) which are far sturdier and I have no issues with. 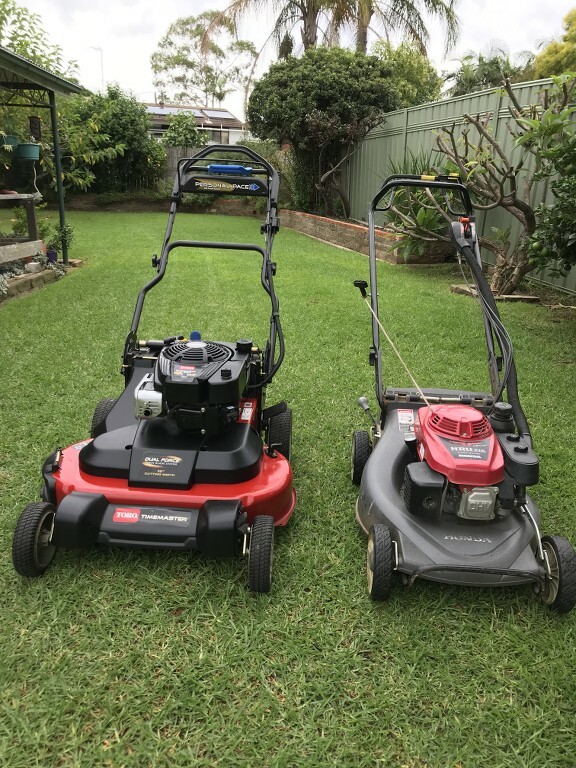 You can buy the upgrade kit for around $US100 or what I did complain to toro and got the dealer to replace for free, although I was waiting like 5 weeks for them to arrive. 4. I've read reports that the transmission is not overly durable, but they are only around $US100 to replace. No problems with mine so far. I only have about 40 hours on mine so still early days but so far, apart from the pulleys, it has been a great buy and time saver. As I mentioned above if you are using it on dry regular lawns it does a great job and with the cut quality and mulching on par with the HRX, just don't expect it to mulch anything wet or thick. Oh and the personal pace works really nice and the mower itself manouvers well considering it's size. Nice review Plucka, thanx for making the effort. great write Plucka..... I'm getting one.....I'm looking at a Turfmaster on the weekend (cheap..
all of my lawns are manicured...i don't do any over grown yards at all.. 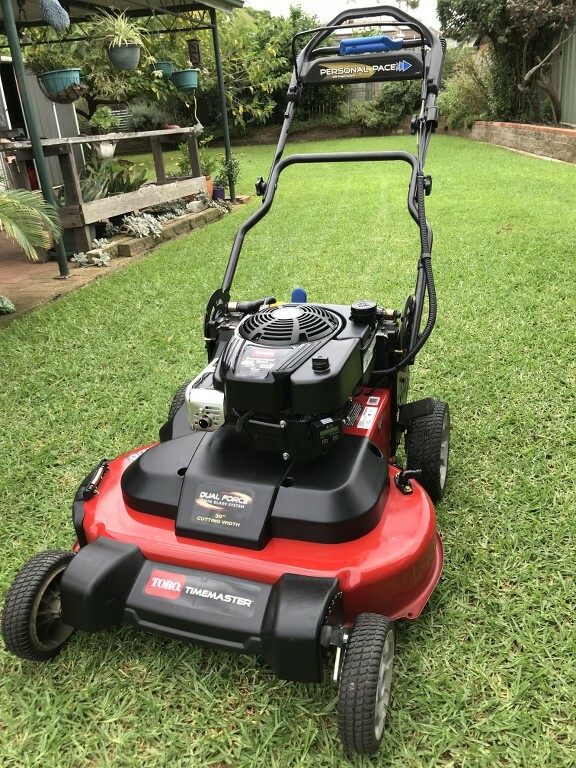 But, I'm flogging myself walking behind the mower.. and I'm exhausted.. there has to be an easier way..
Ando ive got a 30 inch ztr dixon mower its a domestic unit but does a brillent job and fits through any 900 mm gate. There not made any more but they pop up for sale from time to time. My machine has over 500 hrs on it and still going strong. well, I didn't plan on buying something so soon....but I did.. I was just strolling through Gumtree, and I even think one of you guys pointed this out to me as well .. I bought a timemaster in new condition for $900.. the catch is , it has the 190cc engine.. but the mower has hardly been used and I couldn't pass it up..
Ive been doing lots of research into these over the last few days.. and as it turns out the 190cc Briggs has more HP and Touque that the commercial turfmaster Kawasaki !! . Ive been reading that these struggle in bagging wet grass , bagging long grass and mulching long wet grass ,,which is what my 216 also has problems with... so its not really a concern. During my research i learned that these mowers with go through a few belts. ($20 each) and will throw a pully from time to time ($40 each) both simple jobs to fix.. so I'm not worried about that at all.. I bumped the revs from 3450 to 3600 RPMs.. this thing sounds like a monster and I cant wait to use it this week .. I will review this at the end of the week after 45 lawns. Ive been reading that these struggle in bagging wet grass , bagging long grass and mulching long wet grass ,,which is what my 216 also had problems with... so its not really a concern. I bumped the revs from 3450 to 3600 RPMs.. this things sounds like a monster and I cant wait to use it this week .. Pretty much every mower has issues mulching in those conditions. Good luck with it mate, its a beast, especially for the price. Look forward to the review. Make sure you do some mulching for me! I look forward to your feedback on it - particularly the timesaving on residential blocks. Maybe not the Briggs 850 commercial engine Ando - wonder about upping the revs to 3600 - but then there was a fellow posted on here quite a while back who used the Timemaster a lot and he would burn through the original spec engine and then fit an uprated spec motor - you might find his posts with a search.